When will be Dogs: The Untold Story next episode air date? Is Dogs: The Untold Story renewed or cancelled? Where to countdown Dogs: The Untold Story air dates? Is Dogs: The Untold Story worth watching? From wolves to pampered pooches, this five-part landmark series reveals how dogs became so specialized. We'll learn how dogs became our closest allies, and see this amazing species in all its glory, living with and without man in all four corners of the planet. From the singing dogs that lead tribal hunters to their prey to life-saving dogs that leap from helicopters into icy-cold seas to rescue people from drowning, and even dogs that learn to drive, the series will explore the lives of dogs from across the world, both in the wild, and in their modern day homes with humans. The ability of dogs to seek out and take down prey has been instrumental to our lasting friendship. Dogs are the ultimate workers, willing to do almost anything we ask of them, including working nonstop in any kind of weather or terrain. From the front lines of war to medical detection, there has never been a busier time to be a working dog. Follow stray pups in Thailand through the first weeks of their dangerous lives. In Kathmandu, dogs are worshipped and dressed with garlands for the Tihar festival. 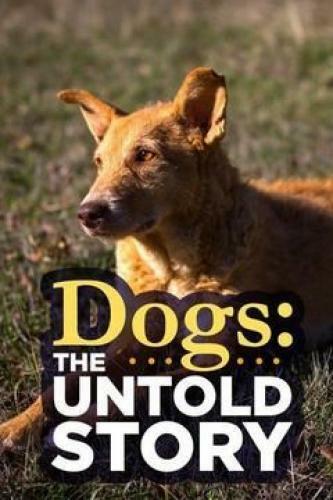 Dogs: The Untold Story next episode air date provides TVMaze for you. EpisoDate.com is your TV show guide to Countdown Dogs: The Untold Story Episode Air Dates and to stay in touch with Dogs: The Untold Story next episode Air Date and your others favorite TV Shows. Add the shows you like to a "Watchlist" and let the site take it from there.